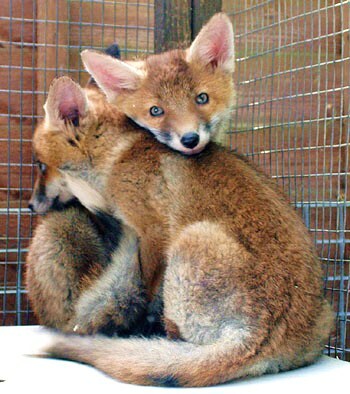 UK: Celebrate 90 Years of Saving Foxes and Other Wildlife With the LACS. Here in the UK, we are very pleased and proud of our fabulous League Against Cruel Sports (LACS), which is celebrating its 90th year anniversary this year ! Founded by Henry Amos and Ernest Bell in November 1924, the organisation at that time was called the ‘League for the Prohibition of Cruel Sports’. It was established as a breakaway organisation from the RSPCA. The League had its inaugural meeting on 25th November 1924. Its first journal named ‘Cruel Sports’ was published in 1927. The national appeal against stag hunting followed in 1928. 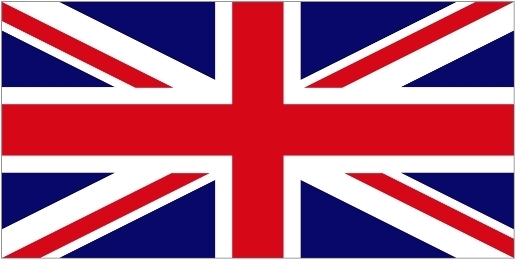 During 1940 the League was forced to move out of its London premises due to bombing. 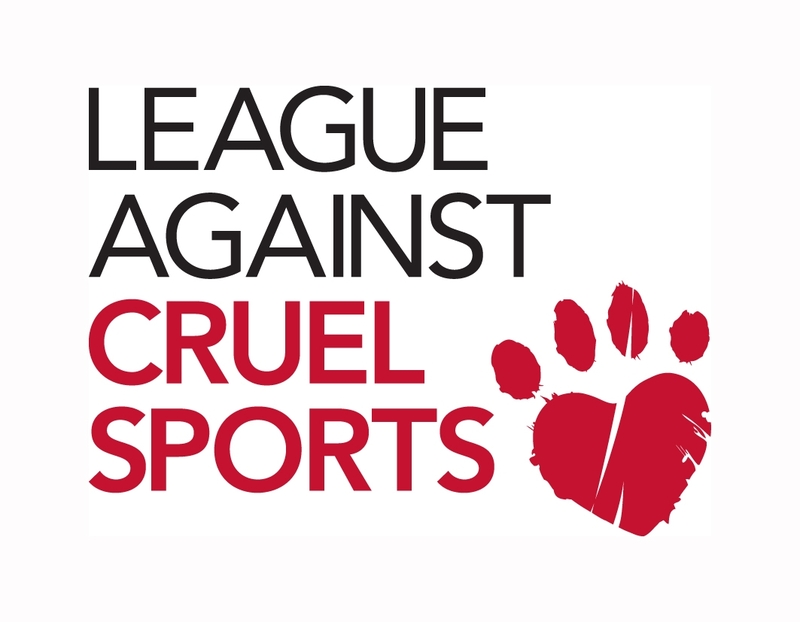 In 1942 the League changed its name to the current ‘League Against Cruel Sports’. 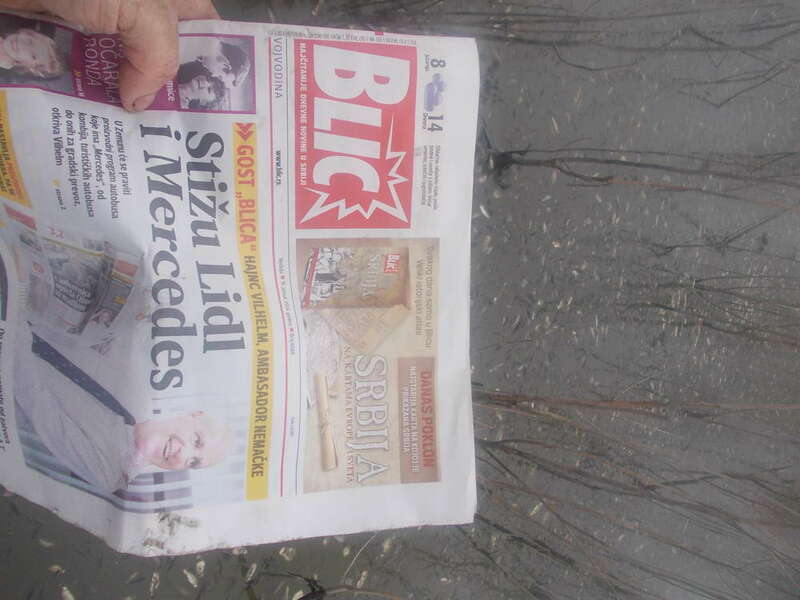 The LACS produces a magazine for all its members, which is named ‘Protect’. 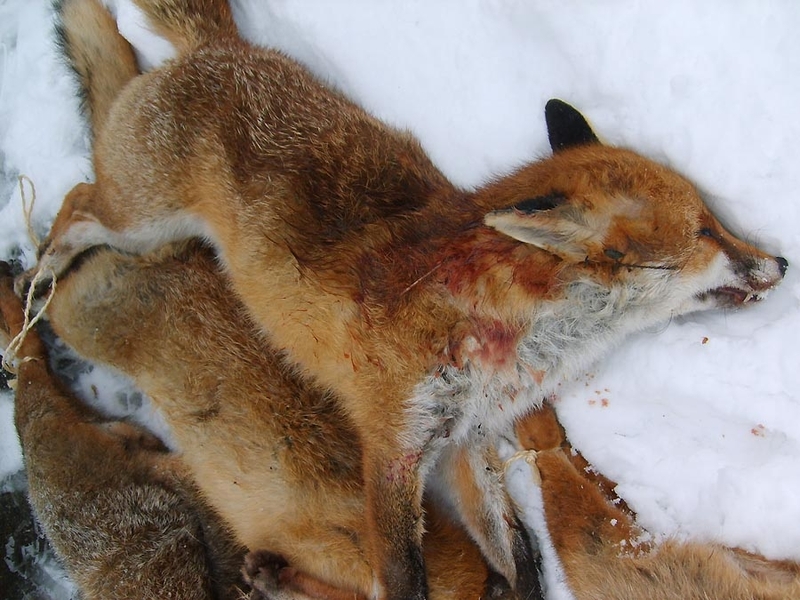 2014 marks a big year for the LACS; as they (and we, its members) now celebrate 10 years since the passing of the UK Hunting Act, which introduced a national ban on the hunting of fox, mink, deer Stag and hare with hounds. 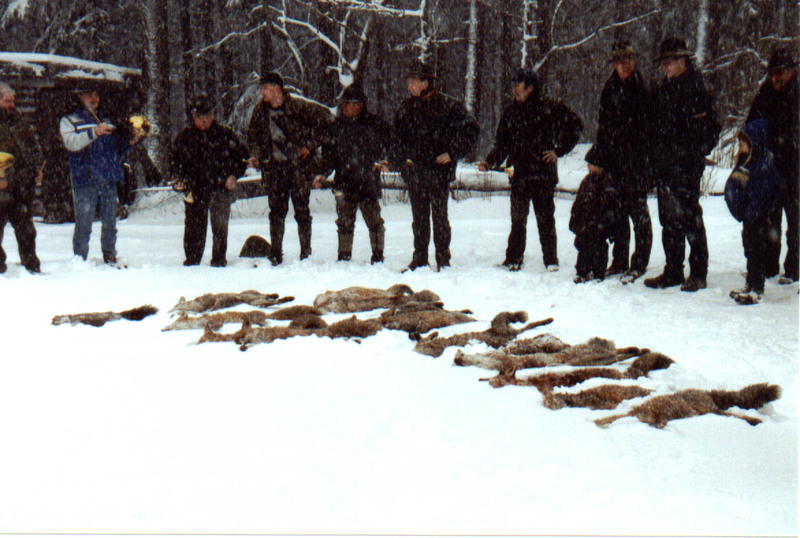 It was a great victory for hunted animals back in 2004 in the UK. As the coalition government here in the UK, led by pro hunt Prime Minister and hunter, David Cameron MP, approaches its final year of power before the next general election, the pro-hunt lobby in the UK are getting very angry by the distinct lack of a free vote in Parliament to repeal the Hunting Act; a vote which was promised by hunter Cameron very early after polling day; almost 4 years ago ! 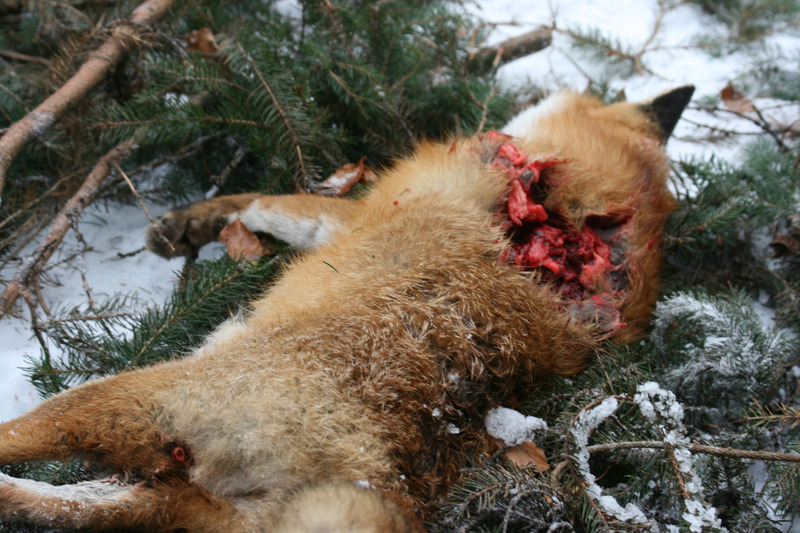 The UK organisation the ‘Countryside Alliance’, which is doing all it can to get a full return to hunting, are now feeling rather betrayed by Cameron and the other MP’s who were in the pro-hunt lobby group. 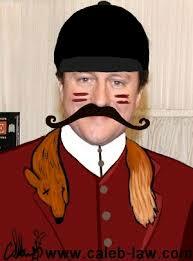 80% of the British public wish the Hunting Act to remain in place. 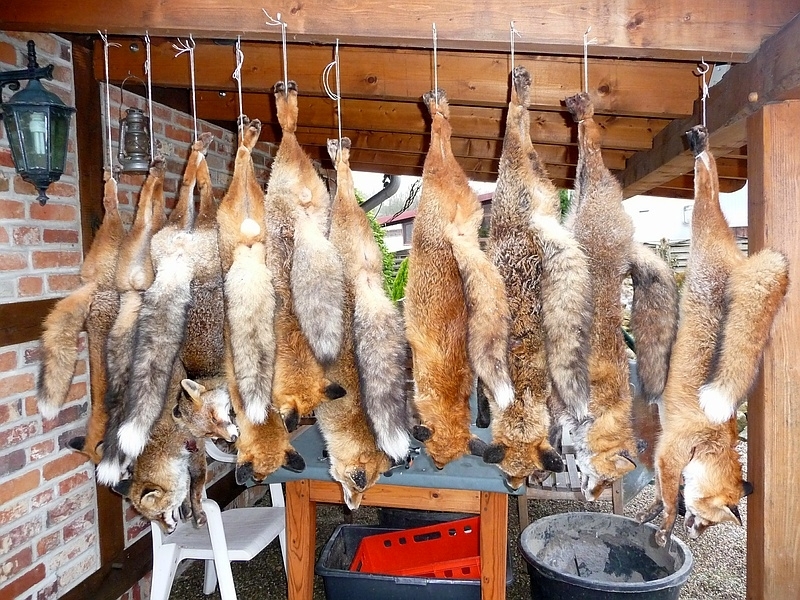 The current situation is that if a free vote were to take place in the UK parliament at the moment, the majority of members of parliament (MP’s) would vote to RETAIN the Hunting Act. But as always, the threat to bring back hunting always remains, and because of this we always have to be on our guard. 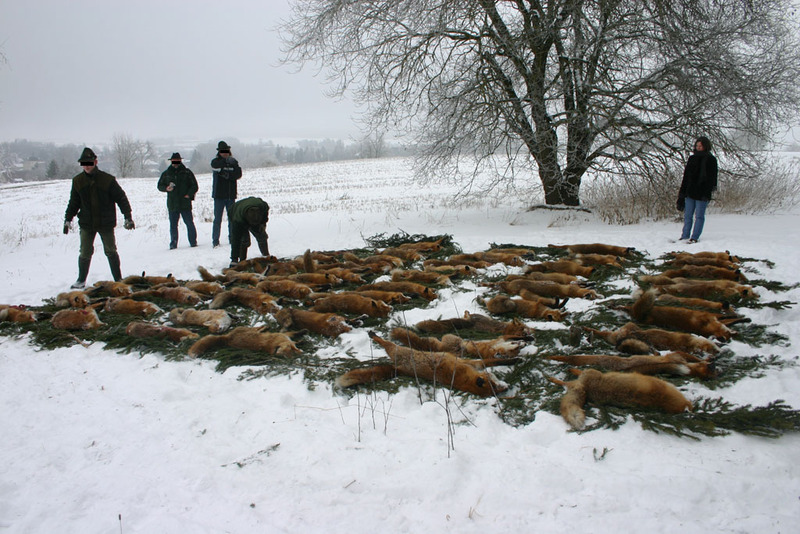 In a very recent poll undertaken by the LACS, 80% of the British general public said that they DO NOT THINK that hunting should be made legal again. This may also be a major reason why David Cameron is not acting to do anything about a free vote in the House of Commons; especially with an election on the near horizon ! The ‘No Joke’ Campaign headed by comedian Dave Spikey. In November 2013 the LACS launched a nationwide awareness campaign featuring comedian Dave Spikey to highlight the importance of the Hunting Act in protecting British wildlife. 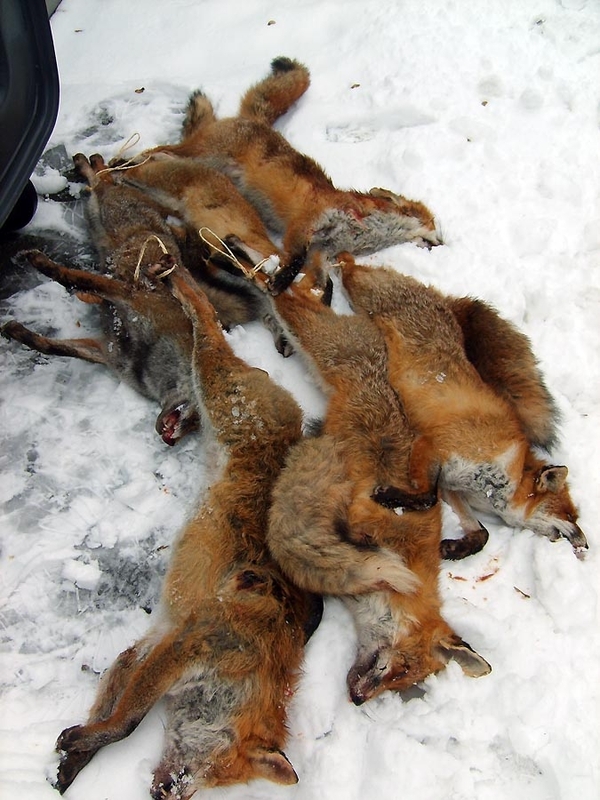 The ‘Foxy February’ campaign – love for one of Britain’s finest mammals. February 2014 is going to be the month to celebrate all things foxy !! The LACS are producing a leaflet on fox myths and facts. They are also putting out photos each day on social media. You can join in and celebrate all that is good about foxes by capturing sightings and images and then forwarding them on to the League. 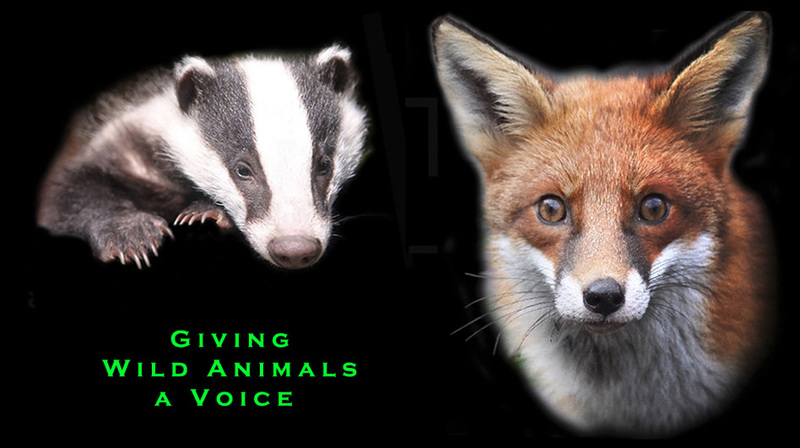 A completely voluntary organisation that has been running now for over 20 years, dedicated to helping the Red Fox in the UK by providing rescues for sick and injured foxes, treatments for foxes suffering from Sarcoptic Mange, cage traps for critically sick foxes though still mobile. 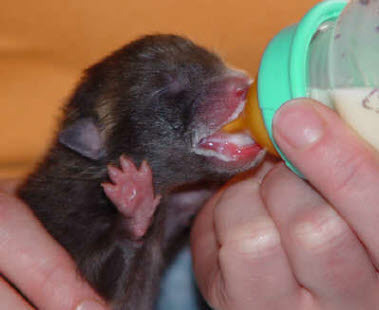 All rescuers, Cage trap setters, fox cub fosterers, release site providers are voluntary. NFWS also do a great range of T shirts and other merchandise – please visit the site to see all !! 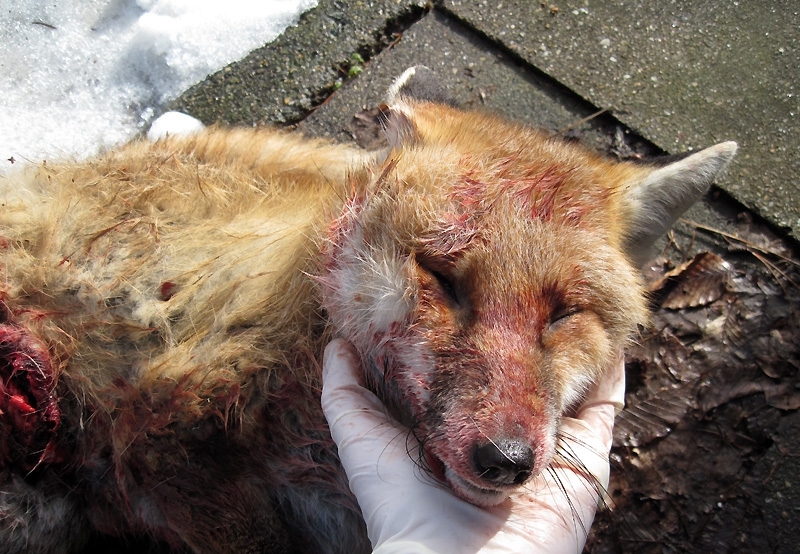 The Fox Project is a registered charity dedicated to the Red Fox. 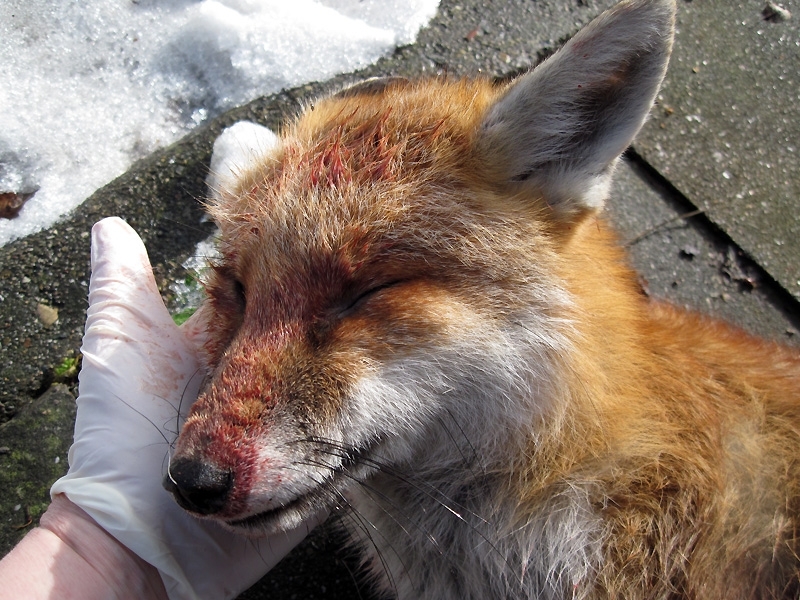 Established in 1991 as a specialist Wildlife Information Bureau and Fox Deterrence Consultancy, it has incorporated a Wildlife Hospital since 1993 which, today, admits and treats around 700 foxes per year, including 250 cubs. It appears regularly on TV, radio and other media, both in the UK and internationally, has received awards from RSPCA, International Fund for Animal Welfare, media and TV and is honoured to have Chris Packham as its Patron. – photo by Mark Johnson – SAV Founder. 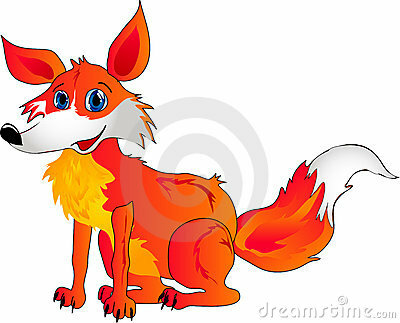 Go Reynard; run healthy and run free; safe from the hunt !!! 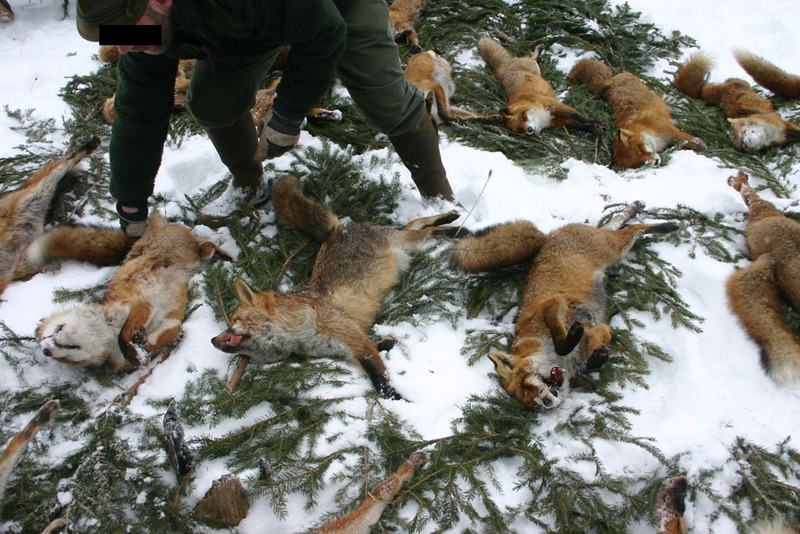 The above situation in the UK is so very different to that regarding the terrible abuse of very healthy and beautiful foxes in Germany; where there is even a ‘Fox Week’ held in February when the aim by hunters is to kill as many foxes as they possibly can. (WARNING) the following links include many graphic photographs. USA: UPDATE – Despite the Terrible and Unnecessary Killing of 9 Wolves this last week, Defenders of Wildlife Now Achieve Success for Idaho’s Wolves. P.S. Click here to read our official press statement. I am pleased to report that last night we learned that the Idaho Department of Fish and Game (IDFG) has recalled the trapper they hired to kill wolves in the Frank Church River of No Return Wilderness – halting the planned extermination of wolf packs in this area! This is an important victory and you were a big part of it. The outpouring of concern and outrage from wildlife lovers across the country made a real difference. Thank you for helping make this victory possible! As you know, Defenders and our allies went to court seeking an emergency injunction to halt the planned slaughter. Idaho’s decision to end their program means that for now, the remaining wolves are safe. Make no mistake; the state of Idaho is one of the worst places in America to be a wolf. 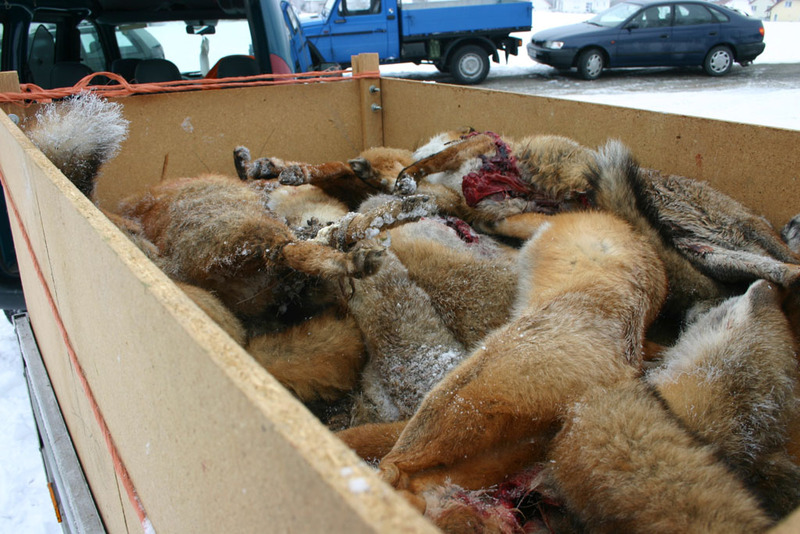 Nine wolves in the Frank Church Wilderness had already been killed before the trapper was called off, and this is on top of the hundreds of wolves that have been killed in the state since federal protection for wolves was eliminated. We have every reason to believe that Idaho will continue its reckless and unwarranted wolf eradication program. There will surely be future fights to protect Idaho’s wolves, but let’s take a moment to celebrate this important victory for wolves! USA: USDA Shutters Calf Slaughter Plant in New Jersey in Wake of HSUS Investigation. WARNING – distressing images of animal abuse. Shrewsbury, N.J. – The U.S. Department of Agriculture reacted strongly to a complaint filed by The Humane Society of the United States, ordering Catelli Bros. of Shrewsbury to suspend its operations on Friday for egregious inhumane handling of calves in violation of federal law. The USDA’s Food Safety and Inspection Service withdrew its federal inspectors, which are required for slaughter operations. The HSUS commended the agency for its enforcement action, and called on USDA to close a loophole in federal policy that allows the slaughter of “downed” veal calves—those too sick or injured to walk on their own—and does not give calves the same protections as adult cattle. Employees shocking, hitting, and spraying calves with water. Read more via the above link. Please watch the video. 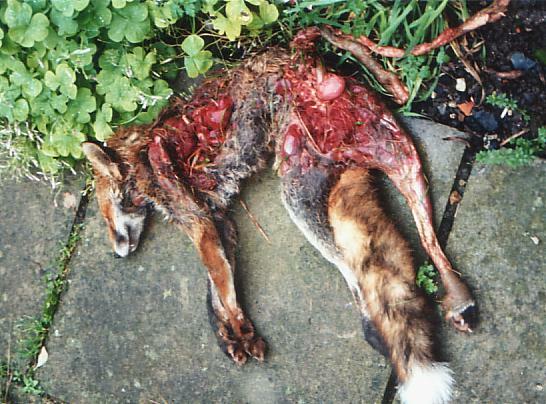 Disgusting abuse of infant animals right up too and at their time of death. May every facility such as this be confined to the history books ! Many reasons to detest animal abusing Japan. ‘Angel’ the dolphin – Photo credit: ??? 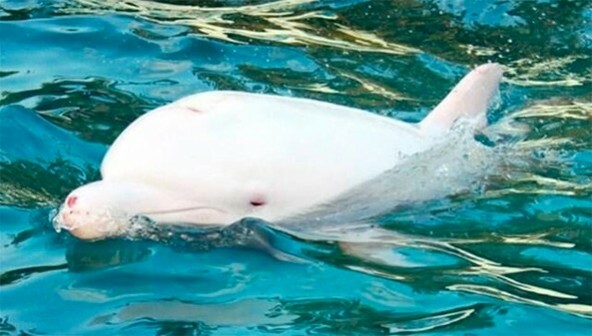 As the world watches the dolphin tragedy that continues to unfold in Japan’s infamous “killing cove,” support is building around a rare albino dolphin nicknamed “Angel” stuck in the middle of it. The calf, which a Cove Monitor for the SaveJapanDolphins campaign described as “an angel with fins,” was separated from its mother early in the hunt as rounded up. On his website, Ric O’Barry says the little one’s chances of survival in captivity are not good. “The most likely scenario is that the Taiji Whale Museum would keep little Angel for their own promotion and to attract tourists,” he writes. “Taiji is out of the way in Japan, so tourism is always problematic for the town. An albino baby dolphin will bring a great deal of interest. And again, there will be a freak show in the museum that houses live dolphins and sells whale and dolphin meat in the gift shop. on 6. and 9. August 1945 atomic bomb explosions in Hiroshima and Nagasaki killed immediately 92,000 people. They were innocent people. The photos from that time show children, dead children that are still in the womb of their mothers, they document blood and death. Hiroshima has become the symbol for the human race to fight against mass destruction and extermination. We have not forgotten, and we will not forget! We fight! In the name of a cheap tourism, which destroy life and living beings, kill, exterminate, Japan practice the principle of Hiroshima in its dolphinariums and killer bays. Back then a terrible “Fat Man”, flew over the people, today innocent blood and dead corpses flow in the Sea of Taiji! It is the same as then, only the former victims become the perpetrators of today , the weapons are legal, and the motives disguise themselves under the guise of tradition and of money . Only one thing is not, as before, Japan! The information, the power of the media, the cry of civilized man for protection and justice of the creatures of these earth. Nagasaki, Hiroshima, Taiji: a disgrace to the civilized world. This should never happen again. Japan, we fight for it! I have this message sent to all addresses that were on the web page of SAV. 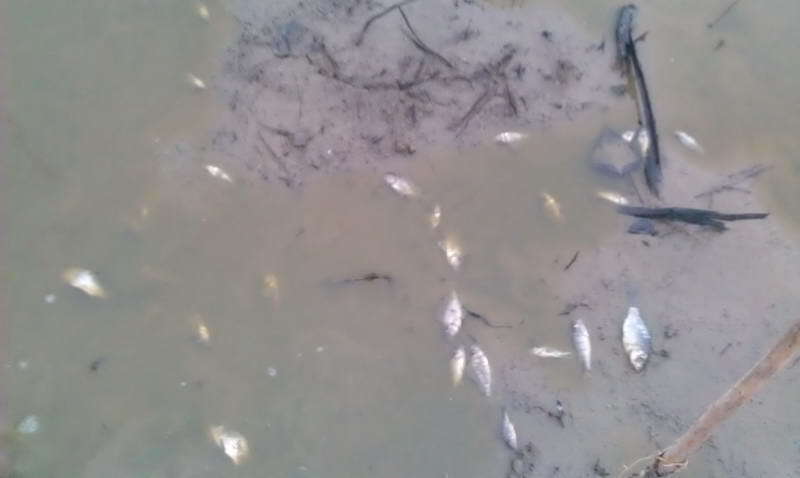 Serbia: Activists Now Press Charge on Ministry Regarding Blocking of ‘Jegmec’ Pond Fron ‘Tisa’ River – Thousands of Fish Are Dying. Please refer to the copies of the documentation shown below. 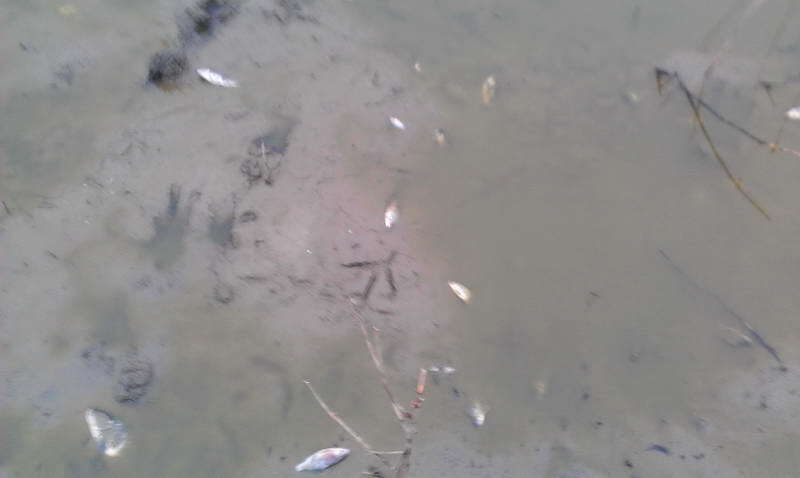 The Serbian republic inspection and also the Vojvodina inspectorate have now acted and demanded that the fishes that are still surviving must be moved to the Tisa river immediately. Whilst activists see this as some good news for the fishes that are still alive; they really feel that the actions are still not enough. 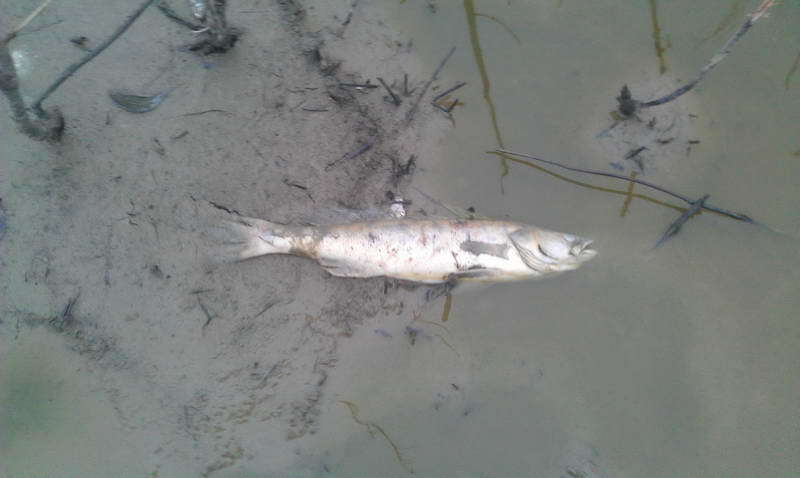 They feel that it should be demanded by the inspectorate that all the water in which the fish live should be kept at a good level fo cleanliness. 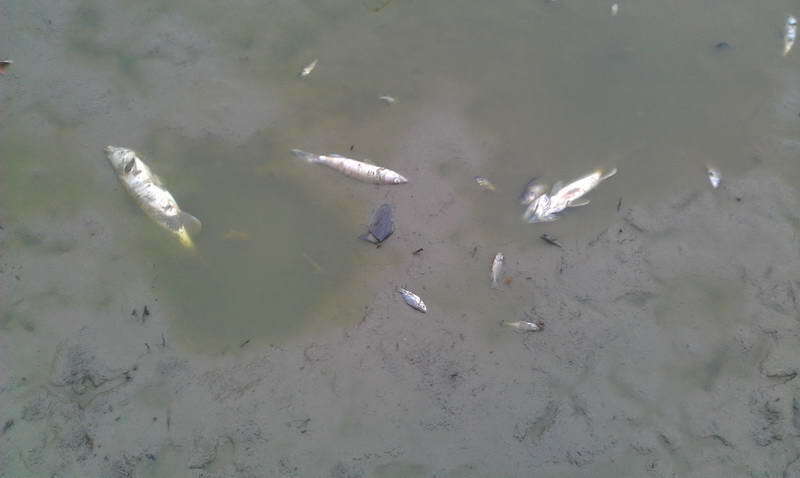 It should be declared that the persons who have caused this current terrible situation, with so many fish dying, must be made to pay for the water cleaning. 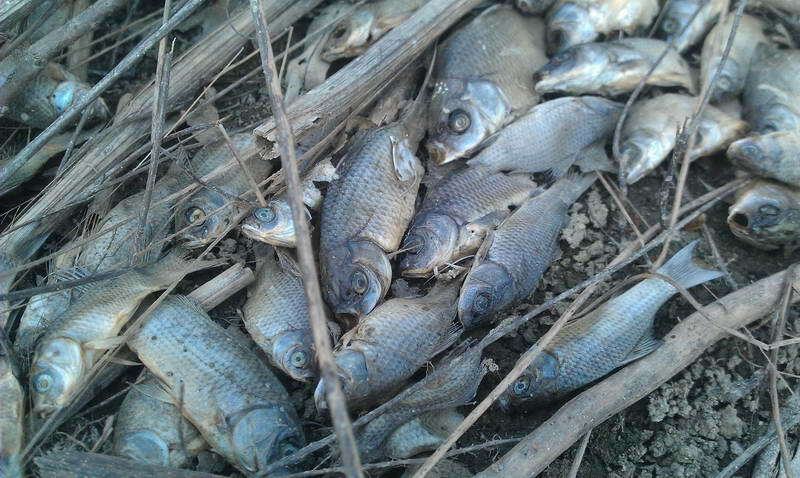 Part of the requirements also will be that a certain water level must be maintained at all times, and that oxygen must be continually provided to the fish in these areas to ensure their survival. This can really be a natural process IF the water is kept at a good level and also very importantly, if the water is kept clean. 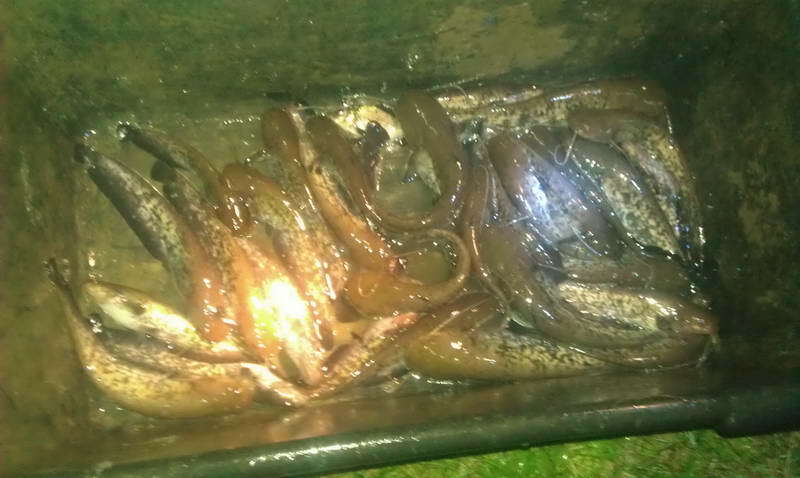 So at the moment a partial result; but activists still feel that not enough is being undertaken for the long term survival and upkeep of the facilities which have the fish. Now they have yet another issue which they are attempting to get Ministry attention with. Here again, activists have now undertaken a formal charge against the authorities. 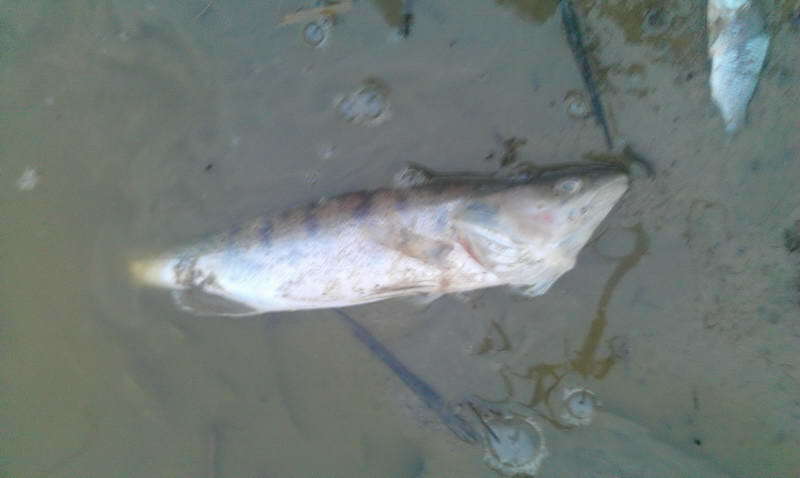 It relates to a river, the ‘Tisa’, which is located in Northern Serbia. The river is linked directly to a very large pond pool area which is known as the ‘Jegmec’. 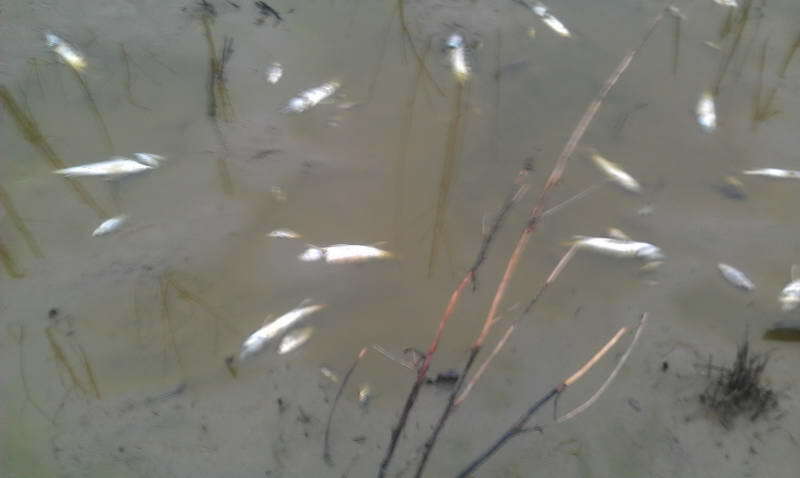 There are many thousands of young and old fish in the Jegmec pool. But very recently, loads of earth arrived in trucks and was dumped across the tributary which links the river Tisa to the Jegmec pool / pond. 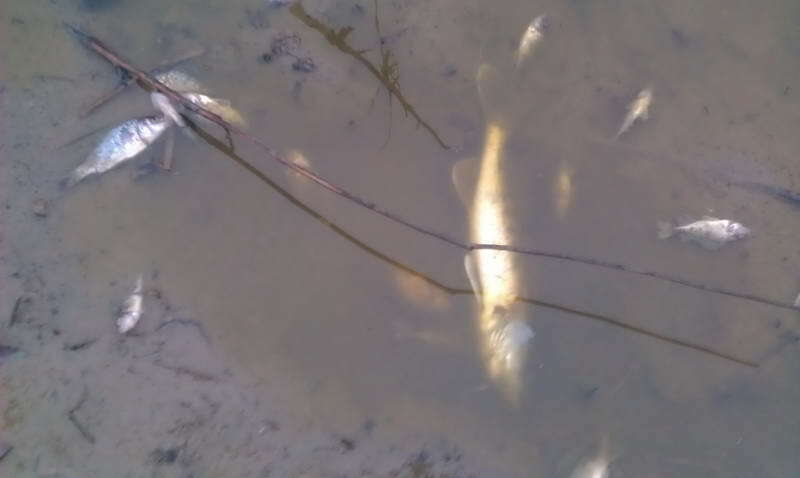 Rather than be able to swim to the Tisa from the Jegmec; young fish are now unable to leave the pool as they are trapped there. 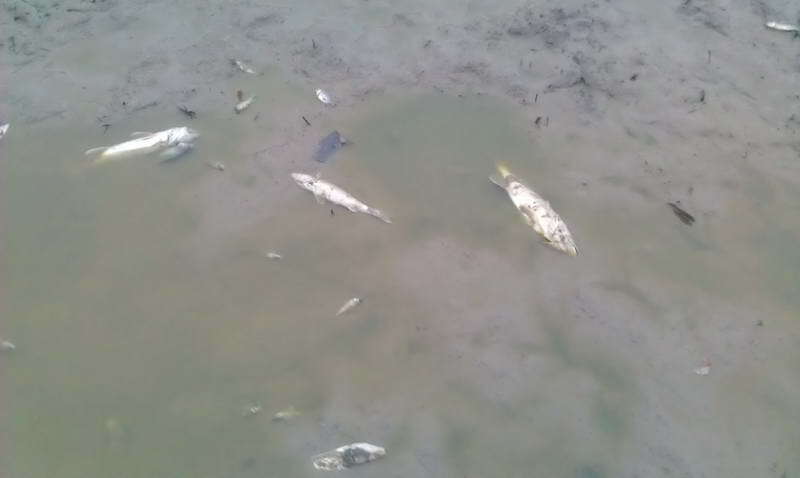 Millions of young fish look as if they are going to die. 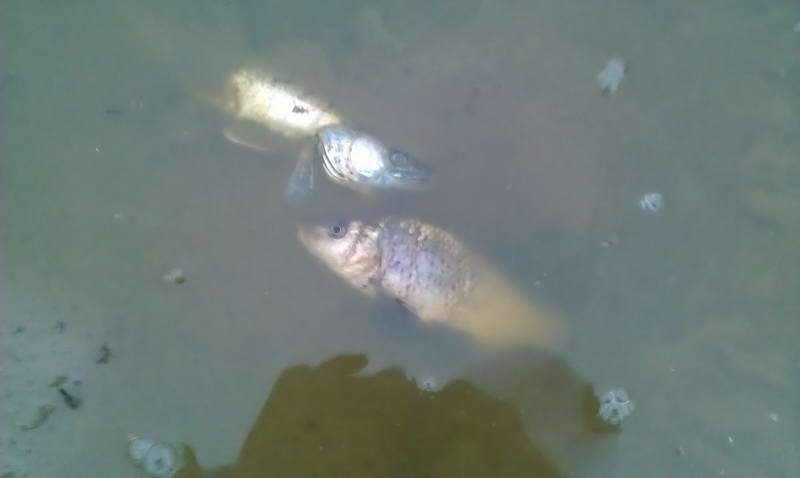 The weather is warm and the water level in the Jegmec is decreasing all the time. 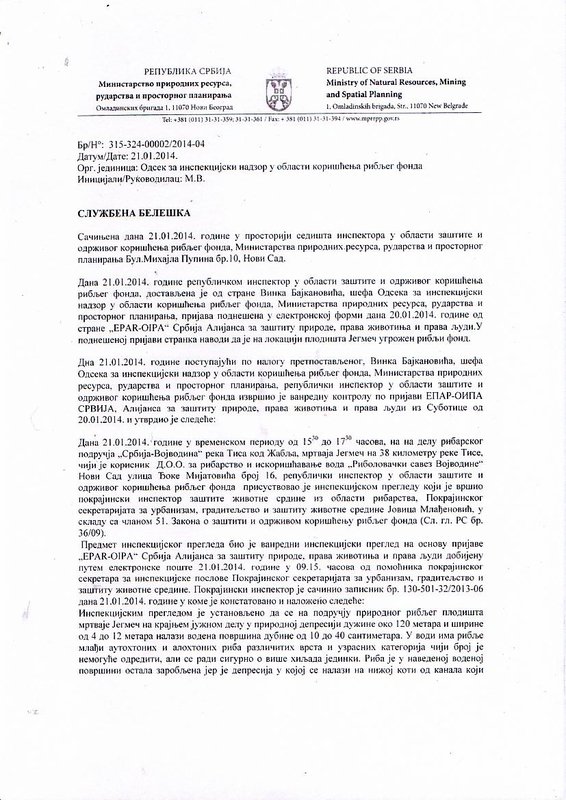 The following message and video link has been sent to the following Serbian officials. 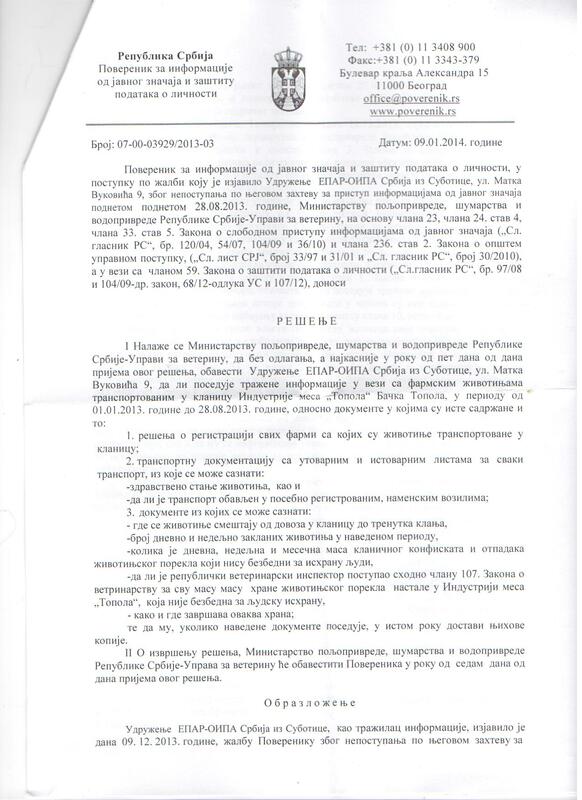 20.01.2014. 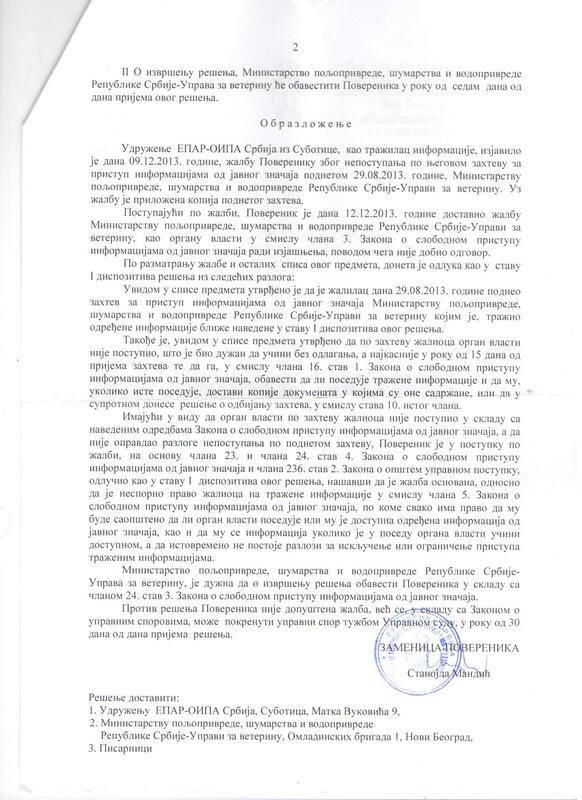 HITNA PRIJAVA, u Attachmentu, ugrožen je riblji fond na reci Tisi, u plodištu Jegmeč, rok za postupanje je ODMAH!!!! We will bring you further updates when we see how this progresses. 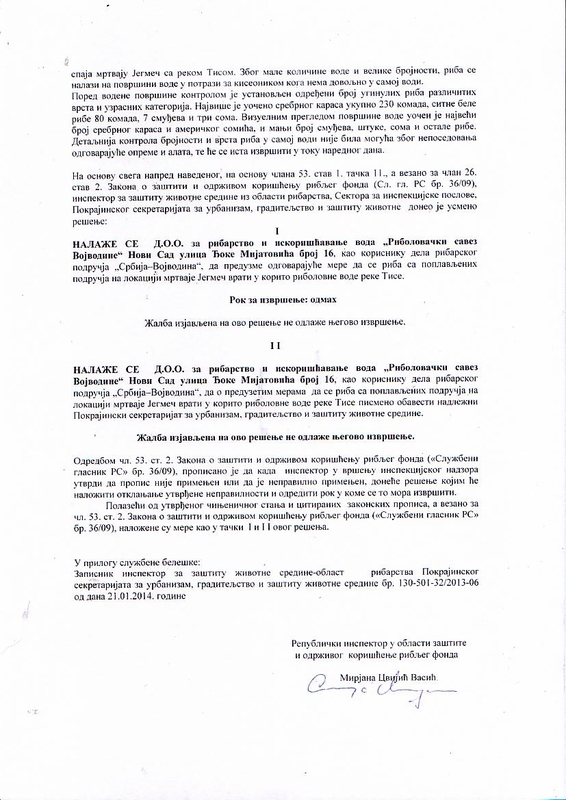 SAV will now be presenting this information to the EU Enlargement and Environmental Commissions; requesting they act with the Serbian authorities. USA: Please help to defend Idaho’s wolves – Urgent Action NOW ! 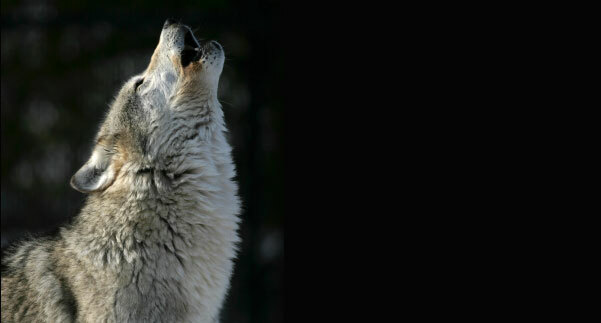 Please help to defend Idaho’s wolves – Urgent Action NOW ! Defenders of Wildlife is bringing the U.S. Forest Service to court over their violation of several federal laws. Acting on the request of powerful anti-wolf interests the state of Idaho issued a kill order for two packs of wolves living in federally protected wilderness, to boost elk populations for sport hunters – and the USFS has allowed them to do it. Keep wildlife in the wild – and protect it !! 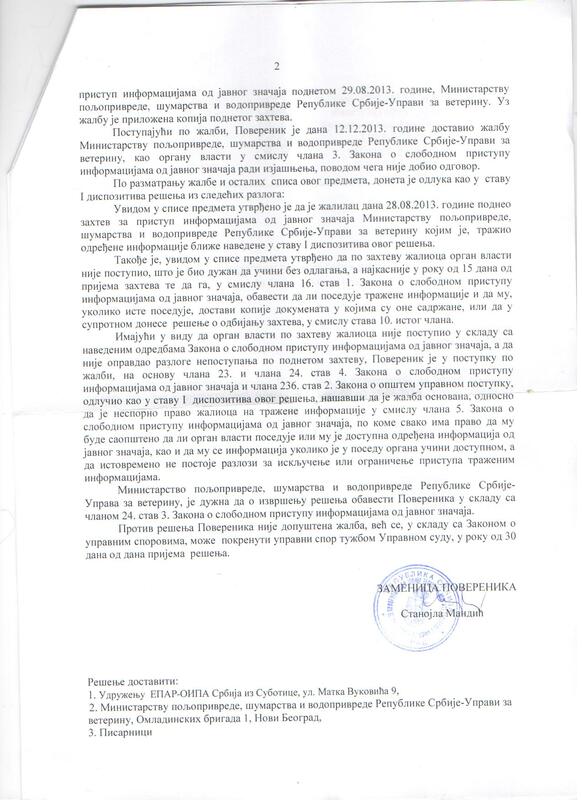 Serbia: Serbian activists ask about the farms on which animals are kept; their transport and also their general welfare. Commissioner gives Ministry 5 days to respond. Serbian activists ask about the farms on which animals are kept; their transport and also their general welfare. Below you will see the demands of the Commissioner which was forwarded to the Ministry of Agriculture. It concerns two major meat production companies. 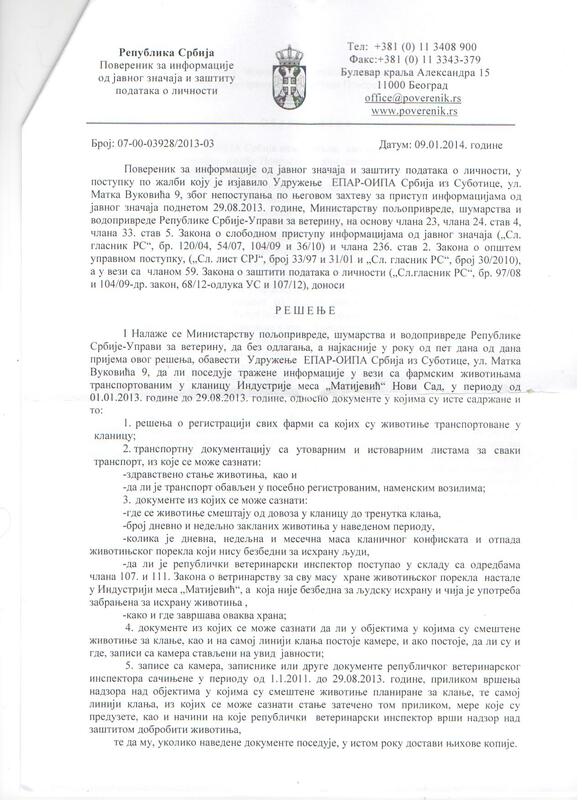 The Commissioner has given the Ministry 5 days to respond to the requirements detailed in the letter; and if the Ministry does not act, then EPAR, the animal welfare organisation, can proceed with part 2 of its process. Originally, in relation to this, EPAR asked the Ministry directly. They refused to answer and so EPAR then took the issue to the Commissioner who has now given the Ministry 5 days to respond as this is an area of Public Interest. Now all concerned wait to see if the Ministry provide a response of if they are going to ignore the request of the Commissioner also. 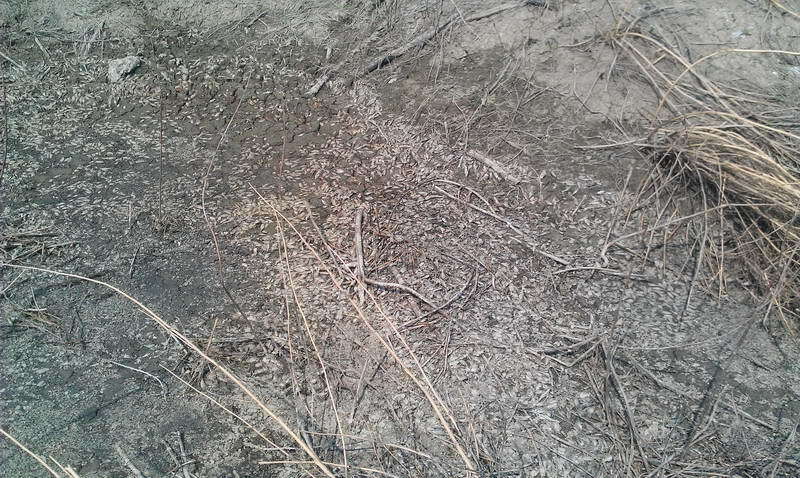 We have also expressed our concerns regarding dead animal corpses just being dumped on roadsides. 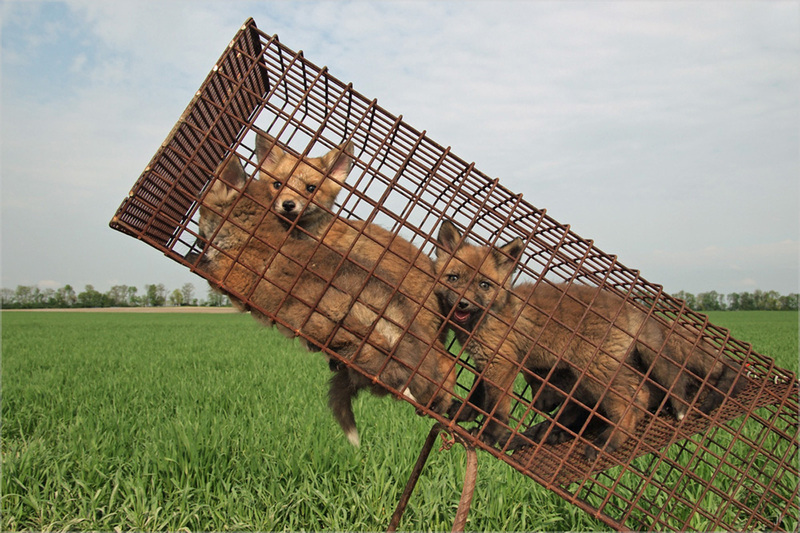 These carcasses provide an immediate attraction to stray animal populations, and also risk the spread of disease from the dead animal carcasses to the stray animals. Here is a potential biosecurity problem. As always, the Ministry wish to put the blame on the strays, when actually the problem lies with the Ministry for not taking actions to prevent this kind of this from happening. 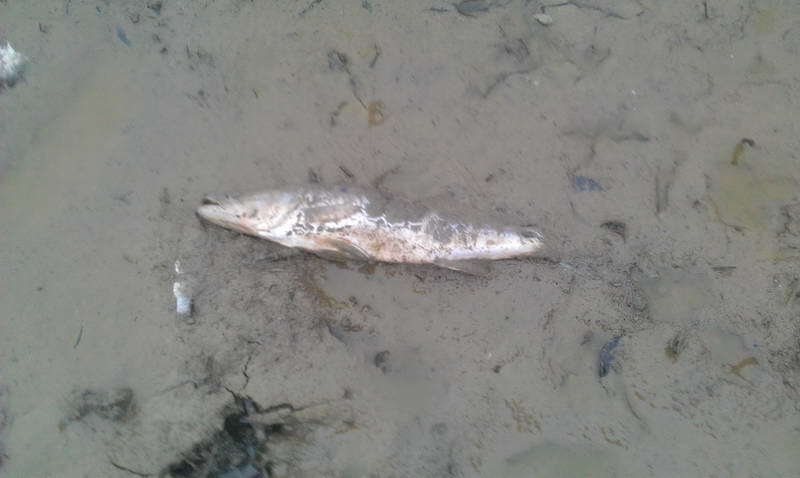 The link below provides images of animal carcasses simply dumped by the roadside – an obvious attraction for stray animals which are desperate for something to eat.